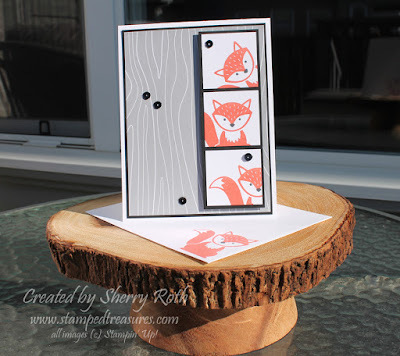 Sherry"s Stamped Treasures: Foxy Friends Bundle by Stampin' Up! Foxy Friends Bundle by Stampin' Up! One of my top 10 favorite items in the catalogue is the Foxy Friends bundle. We were lucky enough to receive this entire bundle as a pillow gift on the Stampin' Up! incentive trip. So I've had a bit of time to play with it and I must say it is so fun! 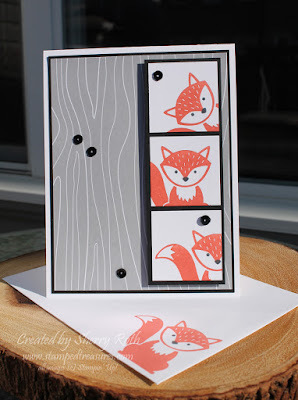 It's amazing what you can create with this punch and stamp set. This little cutie was one of the first cards I made using it. The little fox is adorable and definitely my favorite but there are many more animals you can create: cat; skunk; reindeer; tiger - just to name a few! The coordinating 6x6 paper stack is the perfect compliment to the set. The patterns are fun and gender neutral so you can really create cards for anyone for any occasion! The Little Foxy Suite is one of the cutest collections we've ever carried! I love it so much, I feel it deserves a special class. I'd love for you to join me at the Let's Get Foxy class to see just how versatile this set is! We will be making 4 adorable projects using this collection and there will be lots of additional inspiration using the collection for you to take photos of! 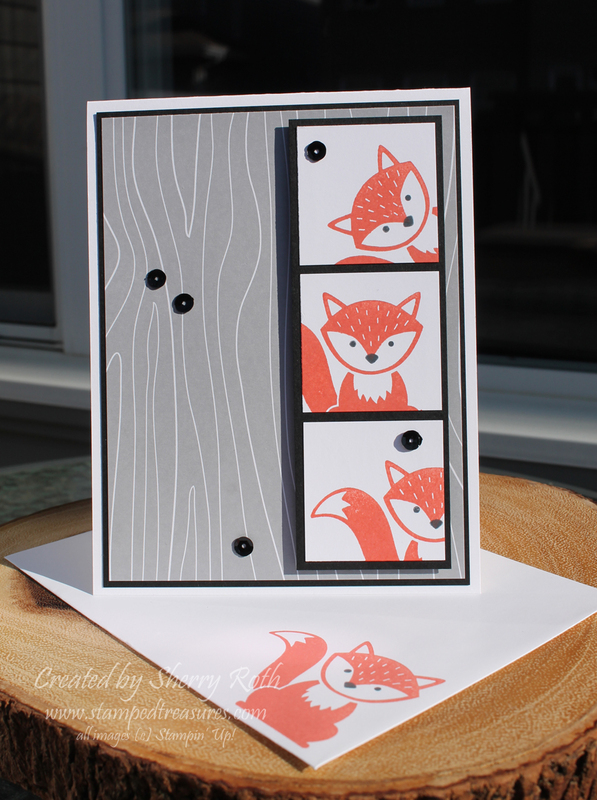 Class fee of $25 includes the Little Foxy paper stack and all additional supplies to create 4 cards. and your class is FREE! Payment & registration due by July 10th. Can't make it? Don't worry I will have kits to go and a tutorial available to purchase as well. Watch for more details on those as we get closer!